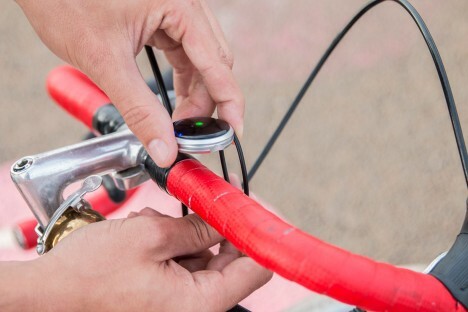 Getting directions while biking can be a hazardous endeavor, whether via earplugs that may distract from road noise or complex visuals you can’t take time to read, hence this ultra-simple bike compass design. 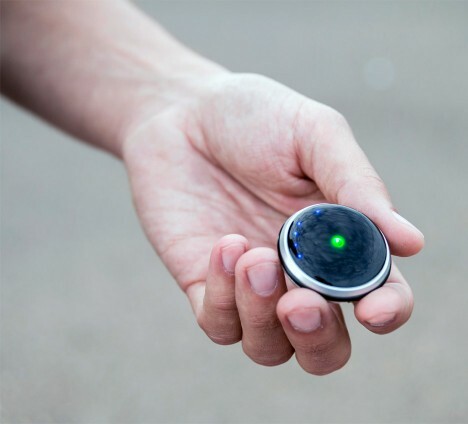 Created by London startup Onomo, the Haize uses a simple system of colored and flashing lights on a circular glass surface wrapped in machined aluminum, all tied to a phone app in your pocket. 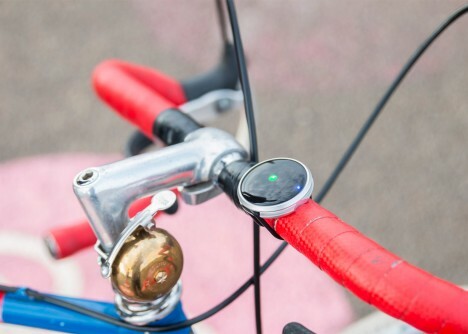 The light rotates around the edge, adjusting to point in the direction the cyclist wishes to go, with red, blue and green flashes to indication direction in addition to distance. By focusing not on directions by direction, the biker is free to make choices about how to move through the city, and avoids sometimes-confusing app or map directions designed for cars or pedestrians. 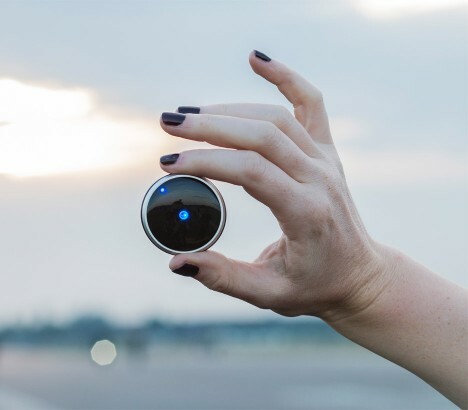 It can last up to two weeks on a single charge and is small enough to slip into a pocket when you lock up your ride to avoid theft. See more in Phones & Mobile or under Gadgets. December, 2015.